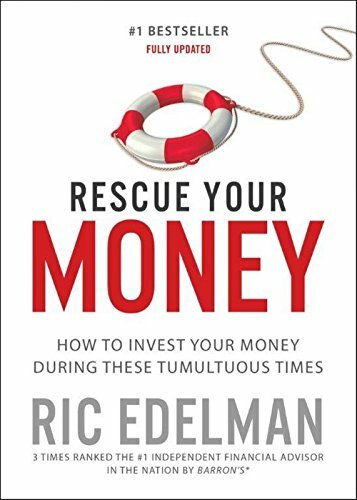 In this updated edition of <i>Rescue Your Money</i>, <i>New York Times</i> bestselling author and investment guru Ric Edelman offers no-nonsense, practical advice for how to keep your investments safe in any economic climate. <p></p>Everyone knows that the ideal investment strategy is to buy low and sell high. But how do you know what stocks will pay off? And how do you know when it's the right time to sell? No matter what you hear, there's no such thing as a sure bet: following fads, listening to the media, and even taking the advice of an investment manager on a roll won't guarantee a payout. To help you understand how to do it correctly, Edelman shows you the one major goal you should have as you seek investment success; the two major obstacles you'll encounter; the one big question you'll have to face; and two basic &quot;truths&quot; that confront--and confound--every investor. <p></p>If you're scared or confused about how to handle your investments and fed up with &quot;advice&quot; from brokers, advisors, and media darlings that has cost you huge sums and placed your financial security at risk, the cure is in your hands. With a cheerful tone that will boost even the most panicked investor's spirit, Edelman reveals the best investments you can make right now to Rescue Your Money. For thirty years, Ric Edelman has worked to teach everyday people about personal finance. He's widely regarded as one of the nation's top financial advisors, having been ranked #11 on the 2017 list of the nation's Top Wealth Advisors by <i>Forbes</i>. He was previously ranked the nation's #1 Independent Financial Advisor three times by <i>Barron's</i>. Ric is the 2017 recipient of the IARFC's Loren Dunton Memorial Award for Lifetime Achievement for his &quot;substantial contribution to the financial services profession and the financial interests of the public.&quot; He is an inductee of <i>Research</i> magazine's Financial Advisor Hall of Fame, and has been named among the &quot;15 most transformative people in the industry&quot; by <i>Investment News</i> and one of the investment advisory field's &quot;10 most influential figures&quot; by <i>RIABiz</i>. Ric is also a #1 <i>New York Times</i> bestselling author who has written nine books on personal finance. His most recent, <i>The Truth About Your Future</i>, was published in March 2017. You can visit him at RicEdelman.com.